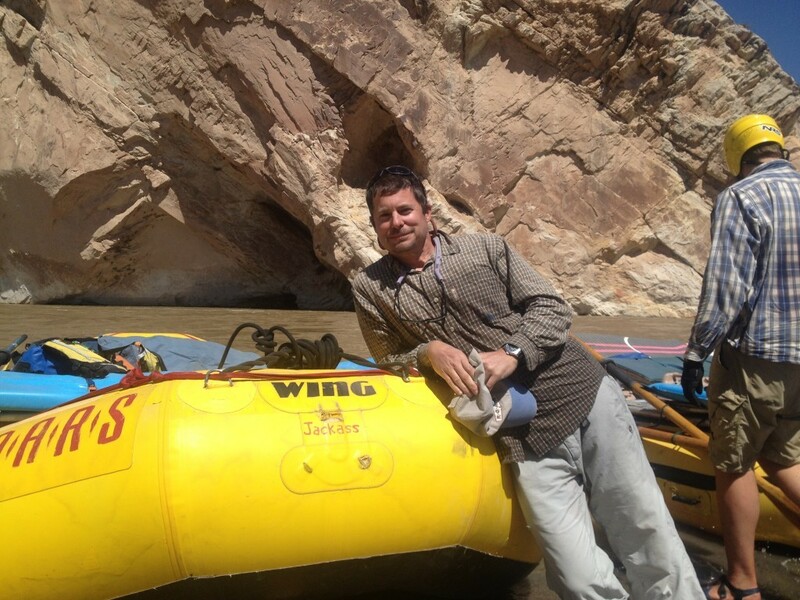 Groover Boy's Unexpected Reunion with the "Jackass"
In spring 2004, then 38-year-old Kevin Fedarko decided the best career move he could make was to quit his job and find a way to join the river trips a commercial dory boat guide company ran in the Grand Canyon. He landed a not-so-coveted job rowing the groover boat, an 18-foot raft carrying the full rocket boxes from the “groover,” or camp toilet used by staff and clients on the company’s two-week-long river trips. 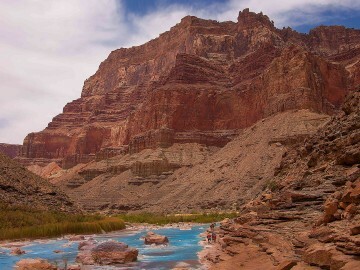 For four summers, and fourteen Colorado River trips through the Grand Canyon from 2004 to 2008, Fedarko rowed a boat named Jackass through the canyon, navigating the 40-plus big-water rapids Grand Canyon Class 5 or higher. He made a few mistakes (like getting launched out of the boat), but never the catastrophic one he worried about the most: flipping the boat, smashing its cargo, and dumping sewage into the West’s most beloved river. 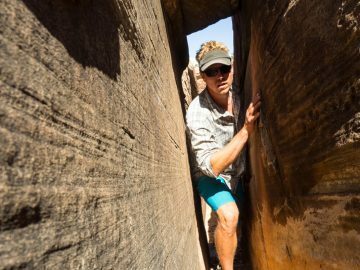 In 2008, he recounted his adventures at the helm of the groover boat in an eloquent 5,000-word essay for Outside Magazine, titled “They Call Me Groover Boy.” He didn’t set out to be “Groover Boy,” really—he just wanted a way to get to know the Grand Canyon. And he did. 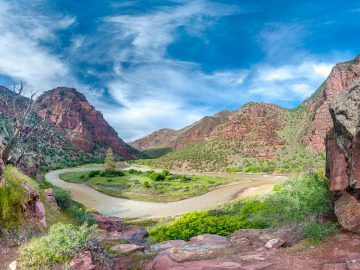 In 2013, Scribner published his book, The Emerald Mile, a gripping account of the fastest-ever boat ride through the Grand Canyon by three river guides in 1983, covering the history and politics that make the Colorado River such an interesting—and controversial—place. The book won a 2013 National Outdoor Book Award. 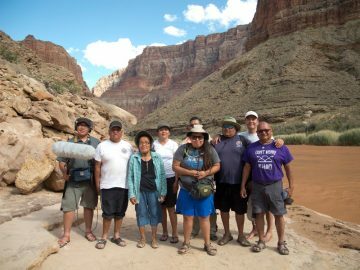 In June 2014, Fedarko was invited on an OARS trip on the Green River through the Gates of Lodore with a group of journalists, nonprofit leaders, and the owners and CEO of Klean Kanteen. 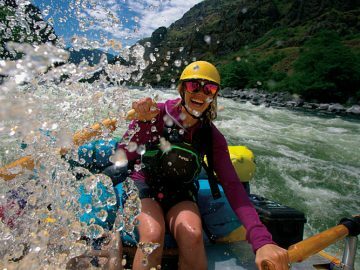 The group took three oar rafts, one paddle raft, two duckies, one SUP board—and two gear rafts, one of which looked a little familiar. Fedarko walked over to the front of the boat and under the bowline, saw a name from his past, in small red letters: Jackass. “Groover Boy,” and his old groover boat, had been reunited—although now in new roles as “award-winning author” and “gear boat.” Through a few business transactions, the Jackass had moved from its old home in Flagstaff to the headquarters of Don Hatch River Expeditions in Vernal, Utah, where OARS’ Gates of Lodore trips are staged. 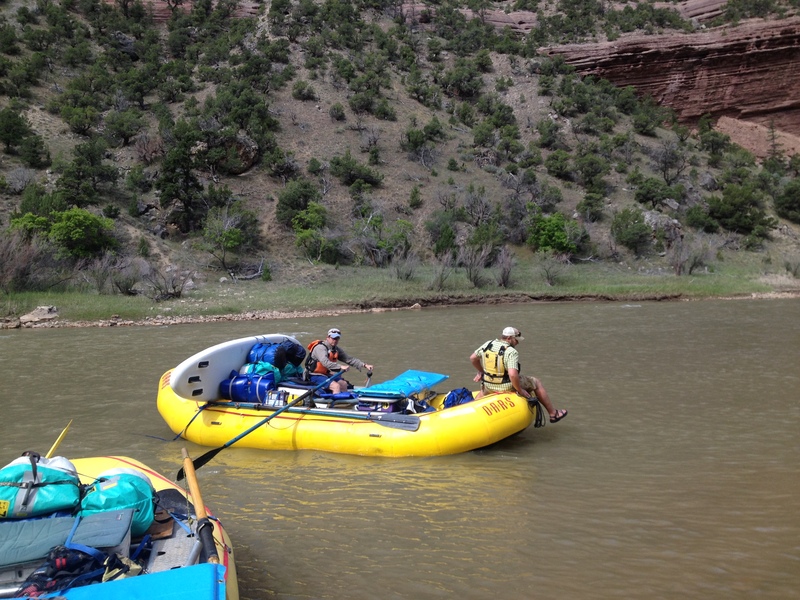 It wasn’t quite a scripted-for-a-Disney-movie reunion scene, but Fedarko was visibly pleased to see his old boat and took a turn at the oars during a calm flat-water section on the Green River above the confluence with the Yampa River. It certainly had to be more relaxing than their old times together, navigating the legendary Grand Canyon rapids like Crystal and Lava Falls with a half-dozen rocket boxes full of you-know-what, rigged to flip.